Olly Burn is a London-based photographer, who has taken photographs in some of the most challenging locations. 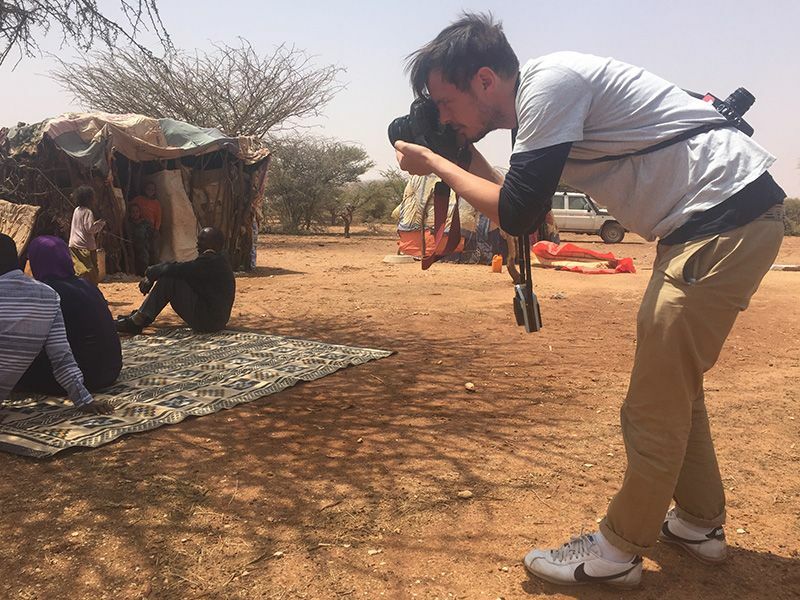 Olly travelled with us to the self-declared state of Somaliland, where the most severe drought in decades has affected around 766,000 people. ShelterBox has supported families there with essential items like tarpaulins, rope and tool kits for shelter, as well as blankets, mosquito nets, ground mats, pegs, solar lights and water carriers to help them live through the worst drought in decades. Fosiya looks on as she talks about her small patch of sorghum (a type of sweet grain) she has manged to grow in the arid desert. 13-tear old Rahma used the ShelterBox solr lights to study in the evening when it gets dark, her favorite subject is English. Muna cradles her youngest child Abdiasis outside her home where they lost more than 150 livestock to drought. 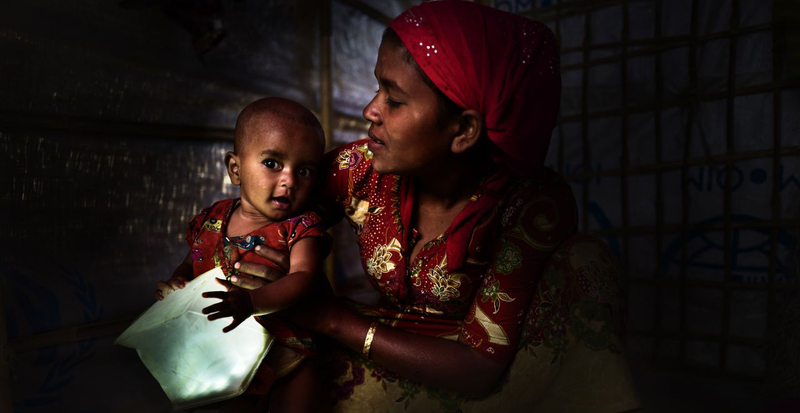 35-year old Nimo sits outside of her home as her youngest Sahra hides playfully behind her. Muna lives with her six brothers and sisters in a shelter made out of dozens of plastic materials crafted together over the years, protecting them from severe weather conditions they face everyday. London based fashion photographer and director Olly Burn travelled to Somaliland. He documented the impact of the severe drought on the country’s nomadic population, where many have lost up to 70% of their herds. It was a truly unique and beautiful experience spending time with these nomadic tribes who culturally are so far from the way of life we’re used to. ‘I was apprehensive ahead of the trip to Somaliland. 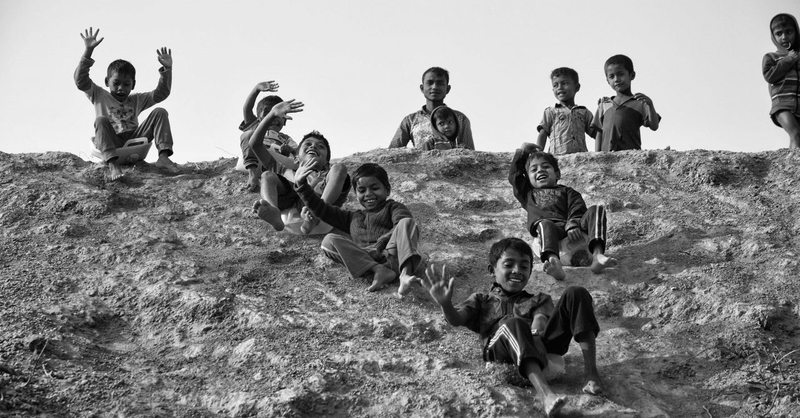 Not only because it was a completely new experience for me, but I was also concerned about capturing images of hope and strength when the drought had been so severe and causing so much suffering. But my concerns faded when we reached the remote villages.